I tend to cook a few tried and tested recipes and stick to the same old dishes which can be a tad dull so I decided to try out a food subscription box. HelloFresh deliver weekly boxes of ingredients, with recipes, so that you can cook simple meals from scratch. HelloFresh Boxes can be delivered on either Tuesday or Thursday, and the ‘classic box’ contains enough food for three/five meals. You can also get family boxes, and a vegetarian box. Recipe cards are included, and they are also viewable ahead of time on the web site. The recipes change each week, and with the classic box you can choose which meals you would like to be delivered. All the meals can be cooked in 45 minutes or less, with most usually taking around 30 minutes. 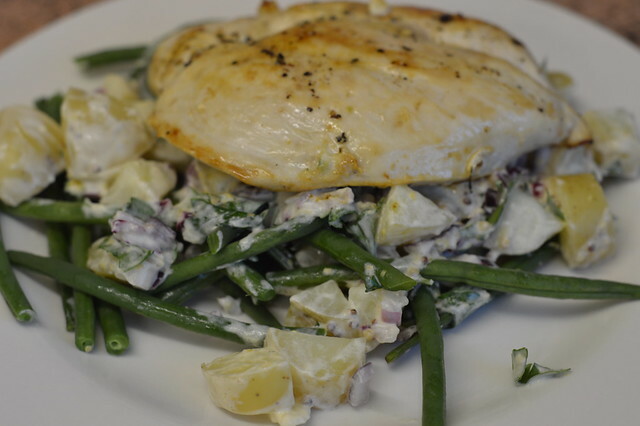 I LOVED my HelloFresh experience and used a discount code to purchase mine so I got £20 off. If you want the same deal use the code PEYMC6. It was nice to try something new and all the ingredients were good quality. There is something special about receiving a bunch of flowers, they can instantly cheer you and a room up. I always have a bunch of flowers in the kitchen to brighten the place up but I've been adding a few pots plants to my home recently because they have a much longer life span. When Flora Queen (a specialist in international flower delivery) asked me if I would like to review their service I chose a plant to add to my collection. 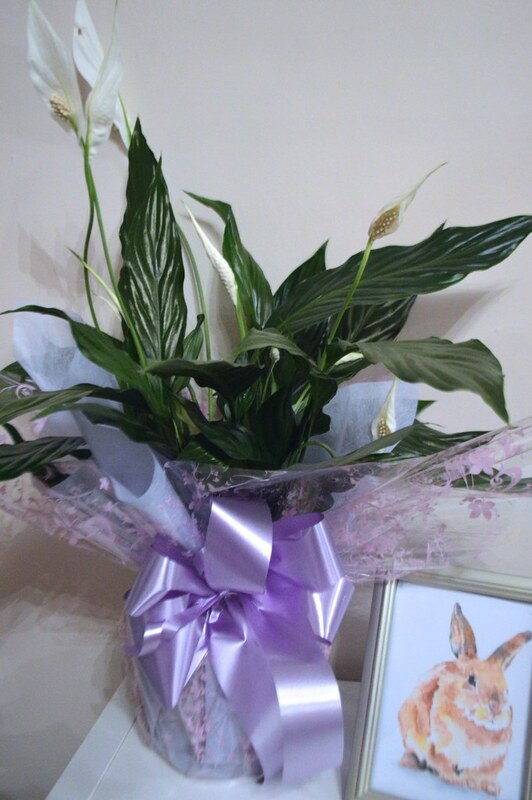 Flora Queen work with a florist local to the recipient and I was delighted to receive this lovely 'Calming Elegance' peace lily. I think choosing a plant worked in my favour because you get what you order and there's no chance of flowers being damaged in transit and my plant is looking fantastic a few weeks on. They deliver to over 90 countries and my experience of FloraQueen would definitely make my consider placing an order as a gift in the future. Martyn and I have picked up some new shelving from Ikea and are trying to declutter. I'm hoping by getting rid of some things I no longer need some of my treasured items will get pride of place and fun items like the framed cross-stitch below will stand out more. I'm also really excited about the new fridge that we ordered, I think that's a sign that I'm fasting approaching middle age, right? Argh!! Congratulations!!!!! Awesome news for you, so pleased. Will definitely think of you when I'm having a rant & rave. Trying to imagine the things you're going to see. Also. 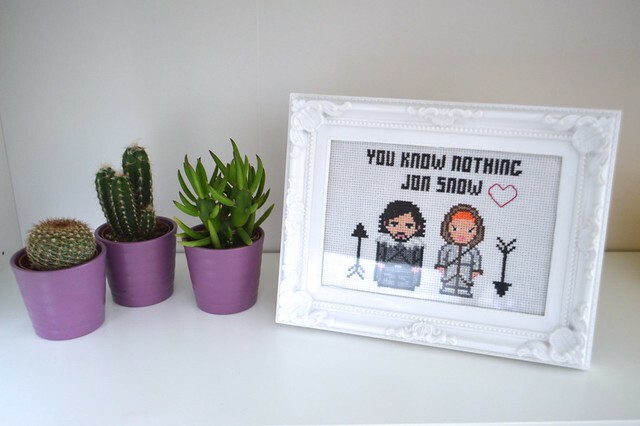 That cross stitch is AMAZING. I need it! Thank you :) I'm mentally preparing myself for angry commuters. 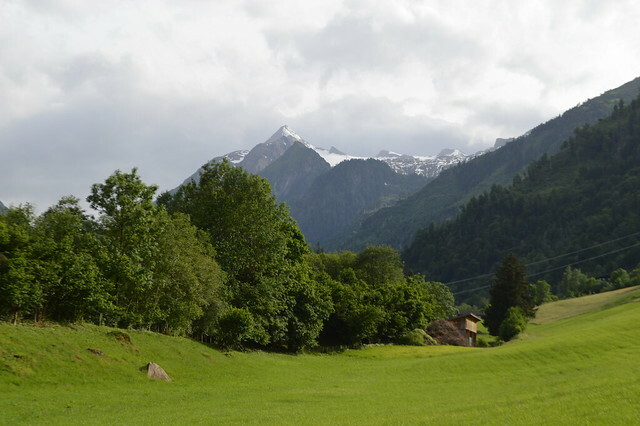 I'd love to visit Austria, such a beautiful country from what I've heard. Sounds like a super fun month. We too have got rid of loads lately, it is lovely having your favourite things on display with no clutter! 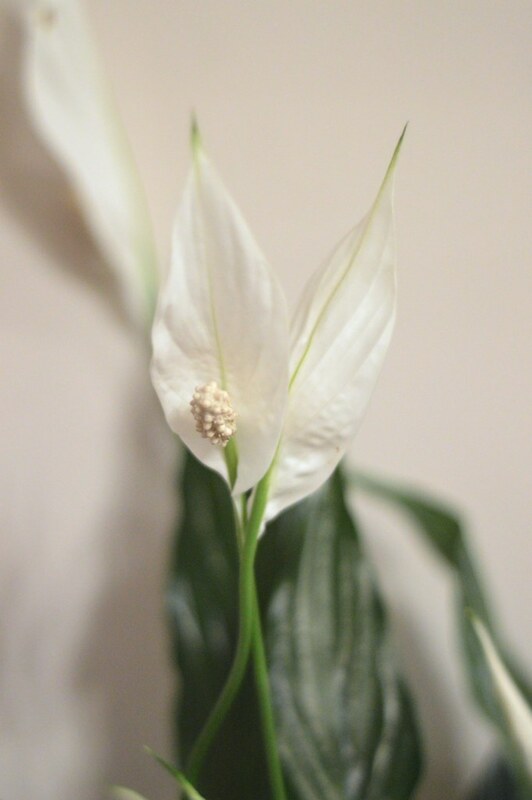 Congrats on your new job :) The peace lily is beautiful, but I can't help but be reminded of Hot Fuzz! So excited for your new job, lots of good changes happening for you and can't wait to catch up in person in a few weeks! Seems like old news now but congratulations on the new job! I didn't realise you were going to be fielding Twitter complaints - yikes! It's actually a pet peeve of mine when people whine on Twitter, send an email, no-one else wants to hear it!